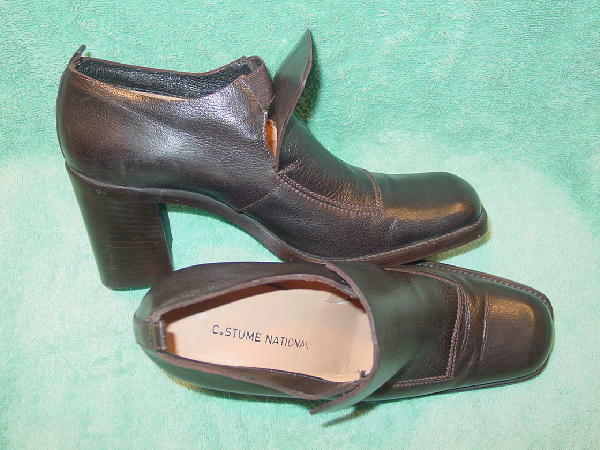 These dark brown leather shoes were made in Italy and are Costume National by Guardi. 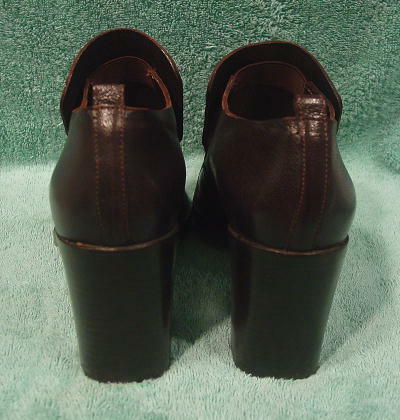 There are sand color leather linings and insoles and chunky wood stacked heels and leather soles. 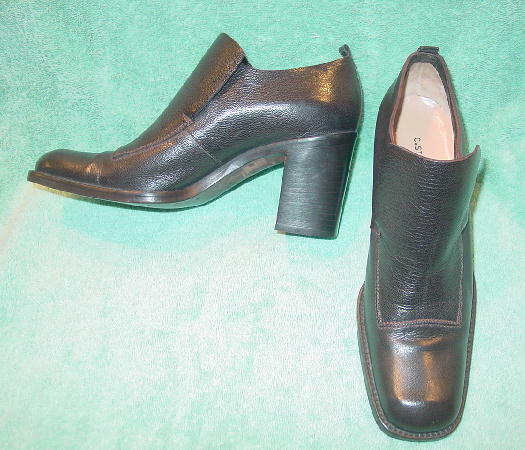 The upper back has a small leather tab and there are wide rounded toes. There is an elastic band under the tongue. The vamps have wrinkles and the side backs have a few light scuff marks. The stacked heels have some scuff marks. 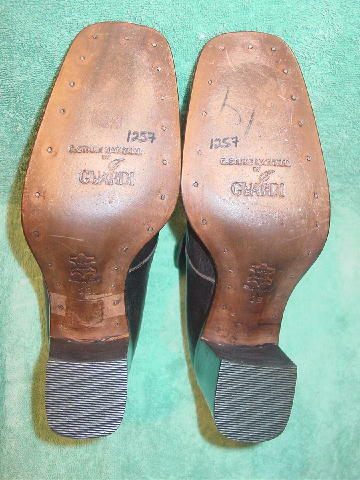 The lower outer side (near the sole) of the right shoe as the side meets the front has a line scuff mark. They're from a British model, who only wore them a few times.